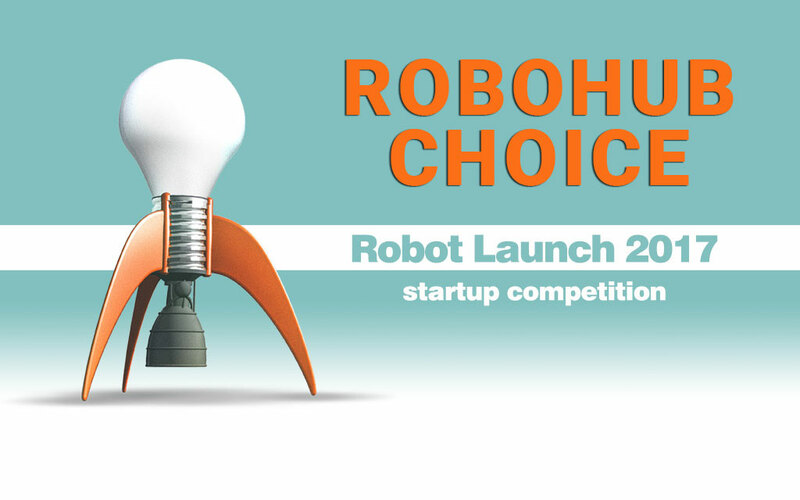 Vote for your favorite startup in Robot Launch 2017 – LET'S TALK ROBOTS! In the lead up to the finals of the Robot Launch 2017 competition on December 14, we’re having one round of public voting for your favorite startup from the Top 25. While in previous years we’ve had public voting for all the startups, running alongside the investor judging, this year it’s an opt-in, because many of the startups seeking investment are not yet ready to publicize. Each year the startups get better and better, so we can’t wait to see who you think is the best! Make sure you vote for your favorite – below – by 6pm PST, 10 December and spread the word through social media using #robotlaunch2017. C2RO (Collaborative Cloud Robotics) has developed a cloud-based software platform that uses real-time data processing technologies to provide AI-enabled solutions for robots. It dramatically augments the perceptive, cognitive and collaborative abilities of robots with a software-only solution that is portable to any cloud environment. C2RO is releasing it’s Beta offering in November 2017, has over 40 organizations signed up for early access, and is currently working with 4 lead customers on HW integrations and joint marketing. Kinema Systems has developed Kinema Pick, the world’s first deep-learning based 3D Vision system for robotic picking tasks in logistics and manufacturing. Kinema Pick is used for picking boxes off pallets onto conveyors with little a-priori knowledge of the types of boxes and their arrangement on the pallet. Kinema Pick requires minimal training for new boxes. Kinema Pick uses 3D workcell information and motion planning to be self-driving, requiring no programming for new workcells. The founders and employees of Kinema Pick include veterans of Willow Garage, SRI, Apple and KTH who created MoveIt!, ROS-Control, SimTrack and other open-source packages used by thousands of companies, researchers and start-ups around the world. The future is here. Mothership’s solar powered airship will enable robotic aerial persistence by serving as a charging/docking station and communications hub for drones. This enables not only a globally connected logistical network with 1 hour delivery on any product or service but also flying charging stations for flying cars. Imagine a Tesla supercharger network in the sky. Our first stepping stone to this future is a solar powered airship for long range aerial data collection to tackle the troublesome linear infrastructure inspection market. A vote for mothership is a vote for the Jetsons future we were promised. BLKTATU Autonomous drone delivery platform using computer vision allowing deliveries to hard to reach places like highrise buildings and apartments. We deliver to where you are, autonomously. Tennibot is the world’s first autonomous ball collector. It perfectly integrates computer vision and robotics to offer tennis players and coaches an innovative solution to a tedious task: picking up balls during practice. The Tennibot saves valuable time that is currently wasted bending over for balls. It allows the user to focus on hitting and let the robot take care of the hard work. Tennibot stays out of the way of players and works silently in an area specified by the user. It also comes with a companion app that gives the user full control of their personal ball boy. Woobo unfolds a world of imagination, fun, and knowledge to children, bringing the magic of a robot companion into children’s life. Relying on cutting-edge robotics and AI technologies, our team is aiming to realize the dream of millions of children – bringing them a fluffy and soft buddy that can talk to them, amuse them, inspire them, and learn along with them. For parents, Woobo is an intelligent assistant with customized content that can help entertain, educate, and engage children, as well as further strengthen the parent-child bond.